Within 45 minutes of the hotel, there are a whole host of historical houses and places to visit. A picturesque village owned by the National Trust with many well-preserved characterful buildings dating from the 13th century. There is a medieval cloistered abbey converted into a fine country house with a Botanic Garden and Victorian woodland with spring flowers. The Abbey also houses the fascinating Fox Talbot Museum of Photography - this is where the first ever photo negative was created in 1835! Lack has been used as a location in many films including Harry Potter, Pride and Prejudice, Emma, Moll Flanders, Cranford, and The Other Boleyn Girl. Superb Elizabethan stately home with sumptuous interior. The Safari park and safari boats are a very popular and fun attraction. Children can also enjoy the Adventure playground, mazes, miniature railway, Postman Pat village and soft play area. In addition, there is an aviary, a butterfly garden, bat colony and petting area. The grounds are designed by Capability Brown and Repton. One of the world’s finest landscape gardens owned by the National Trust. There is a beautiful lakeside walk with stunning vistas towards ornate classical temples and exotic trees. Stour head also has a Palladian mansion with Chippendale furniture, fine paintings and Regency library. The wider estate has Iron Age hill forts and 50m high King Alfred’s Tower. An elegant Robert Adam designed stately home filled with unique treasures including a fine collection of paintings, sculpture, tapestries, porcelain, jewellery and costumes. It also houses the laboratory where oxygen was discovered. The parkland with lake, cascade, temple, grotto and arboretum was designed by Capability Brown. For children, there is an adventure playground and soft play palace. 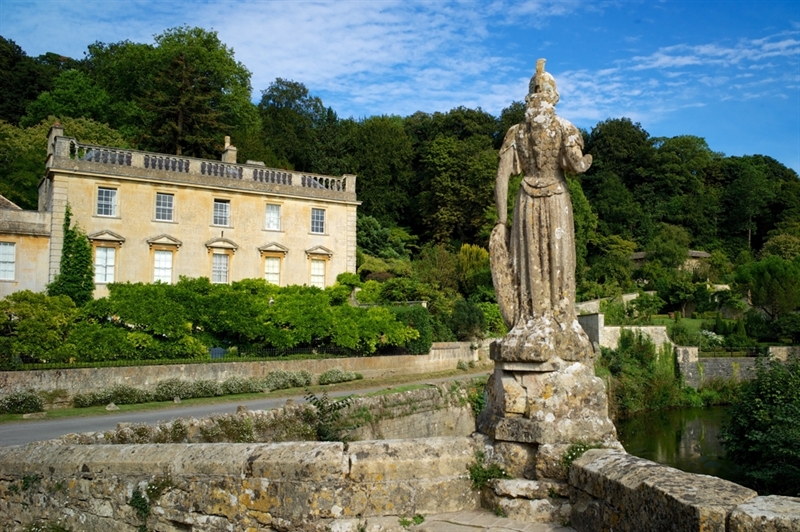 A grand baroque mansion set amidst beautiful rolling parkland owned by the National Trust. It houses a magnificent collection of 17th century Dutch paintings, pottery and furniture. You can also see Victorian domestic quarters which give an insight into servants’ lives. There are also lovely walks around the elegant formal gardens, a deer park, woodland and lakes. Wiltshire’s oldest white horse, carved from the chalk hillside in 1778. It is situated beside the Bratton Camp Iron Age hill fort and has stunning panoramic views. Wiltshire has a number of other white horses at Chervil (1780), Marlborough (1804), Alton Barnes (1812), Hackmen (1838), Broad Town (1864), Pewsey (1937) and Devizes (1999). 14th century castle, owned by English Heritage, with many unique features set in a picturesque valley. Largely intact gatehouse, curtain wall and substantial ruined towers. Well preserved 14th century chapel features rare medieval wall paintings and stained glass windows. Crypt with an important collection of lead coffins. Charming 15th century manor house with a topiary garden owned by the National Trust. Exceptional period furniture, 17th and 18th century tapestries and needlework. Ornate Jacobean plasterwork, Gothic and Jacobean windows. Experience the sights, sounds and smells of life on board the world’s first great ocean liner. Go under the innovative glass “sea” to view her hull and visit the dockyard museum.